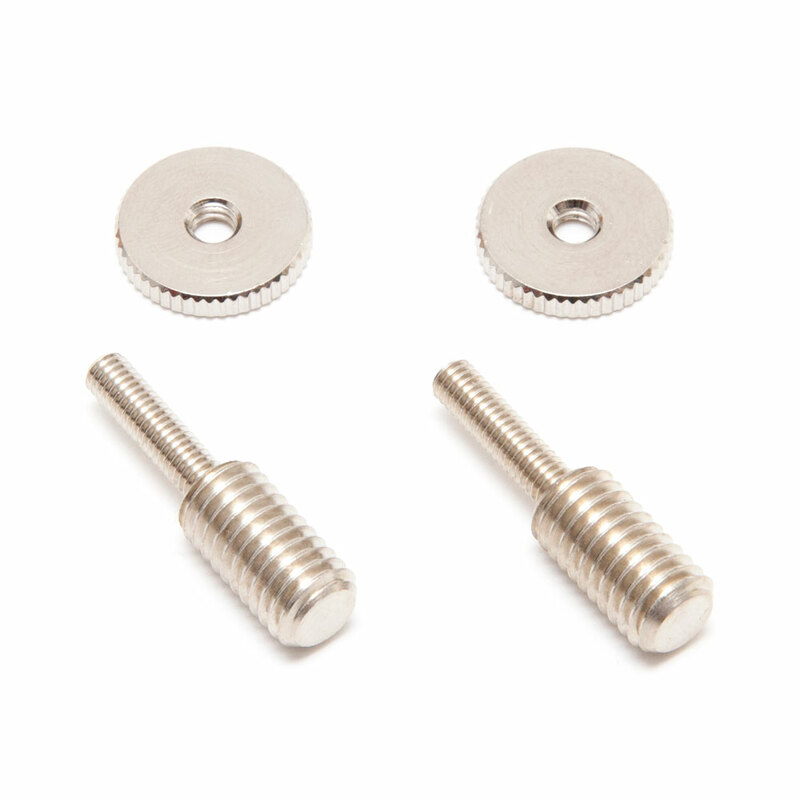 Alternatively if you have a Schaller or USA Nashville bridge installed (e.g. a modern Gibson Les Paul), you can remove the Nashville body stud and then tap the guitar body to accept the 8 mm thread directly in to the body wood, this provides a large mass post screwed directly in to the body wood and is Faber's preferred installation method for their Tone Lock Bridge, but requires modification (and should only be done by a professional guitar tech or luthier). The kit includes 2, 4 mm nuts, these are threaded on to the top section and locked against each other, a spanner is then used on these to screw the post in to the body.